No, this is no camper! 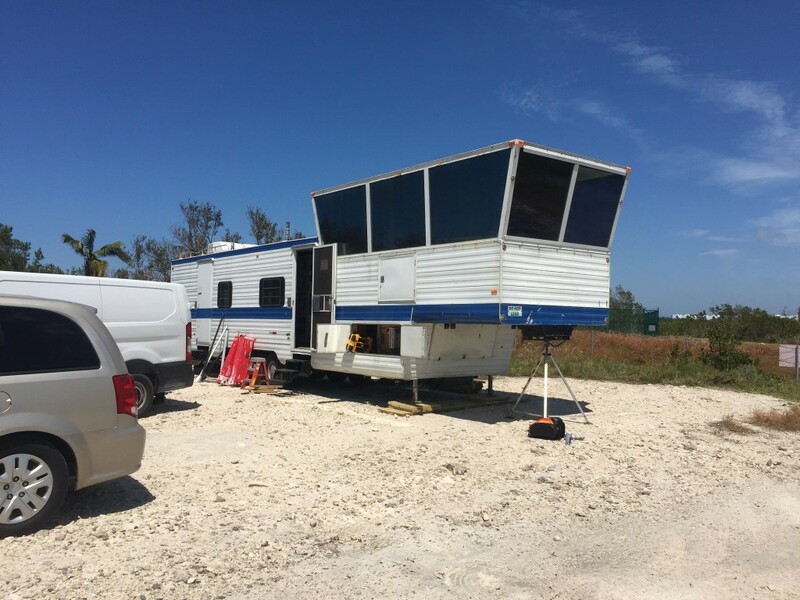 After Hurricane Irma has destroyed Florida Keys, FAA has implemented this mobile air traffic control tower at Key West International Airport (KEYW). It was brought making a road trip down the East Coast by trailer from Hartford, CT. This fully-equipped tower will provide air traffic services for all of the aircraft operating in and out of Key West that are supporting the relief and recovery of the isolated Florida Keys in the wake of Hurricane Irma. The FAA also has temporarily located many of the tower’s controllers closer to the airport to reduce lengthy commutes. In addition to the mobile tower, the FAA has brought a trailer to the site to support the tower controllers with an air-conditioned break room and lavatories. Before the tower arrived, controllers were managing air traffic at the airport from a small tent. As controllers started working the radios in the new mobile tower at Key West, the FAA was making plans to pack up another mobile tower it airlifted to St. Thomas and temporarily relocate it to a safer mainland position in advance of Hurricane Maria. The tower will remain on a military C-17 until the storm passes and will immediately head back to St. Thomas after the storm.